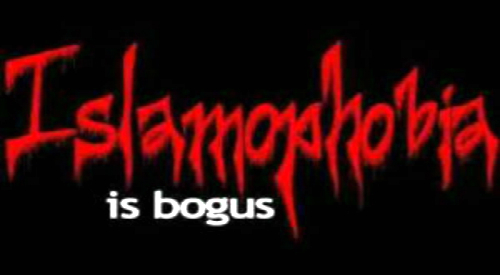 What is Islamophobia? The word itself means an irrational fear of Islam. How the Left defines and applies this word is backwards from that to which it actually applies. They believe it is an irrational fear of conservatives afraid of being killed by a Moslem jihadi. They say terrorism is not Islamic and that Jihad is not murderous. But examination of the teachings of Muhammad and fourteen centuries of history prove that to be a lie. Or is it an irrational fear on the part of leftists that associating Islamist terrorists with Islam will incite Moslems to become terrorists? This is the dysfunctional thinking of the Left that projects their irrationality on the Right. They also have an equally irrational hatred of the Christ. Do Moslems reject the Jihad? It is a basic tenet of Muhammad’s teachings as the Sixth Pillar of Islam. Islamic Taqqiyah and leftist scholars deny it exists when they talk of Muhammad’s teachings to infidels, and they claim that Jihad is conflict within one’s own soul to put away evil. But it is found in the teachings of Muhammad’s way in both the Koran and Hadith and all Moslem countries that Jihad is to wage war on infidels. It is only in that Shia and Sunni differ on what are the sixth and additional pillars or duties of Muslims that they do not identify it in the Six Pillars of Islam. The Koran and Hadith make constant reference to Muhammad and Muslims waging Jihad on infidels, kaffirs, Jews, and People of the Book, i.e. Christians, as Holy War against the enemies of Allah. His teachings include infiltration, deception, terrorism, murder of those who speak against Islam, and war by any means to conquer unbelievers and force them to submit to Moslem law – Sharia. Do Moslem countries reject the Jihad or do they just have a vested interest in containing the Jihad? It is their own Imams in their own mosques that taught these Muhammadans to become murdering fanatics in the tradition of the founding master of their death cult. The only interest these rulers have in controlling jihadis is because they don’t want their rabid dogs that they have unleashed on the West to turn and devour their masters. Does the U.S. have any true Moslem allies in the War on Islamic terror? Even half the people who are the victims of their terrorism are psychotically denying that they are following the teachings of Muhammad of which they are entirely ignorant. The Left is as ready to submit to Islam as they are to persecute Christians. Both have the same ideology of socialism wherein the ruling elite control the masses, and both believe in destroying and murdering those who stand against them. Like the Communists and Nazis at the beginning of WWII they ally to attack Christendom, but will eventually have the Islamo-Nazis with their satanic god attempt to destroy the atheists with their socialist state of the greedy masses. Unlike Jesus, Muhammad never taught peace as the objective of Islam, but control and rule over all people. If anything Muhammad is the opposite of Christ and Allah is the opposite of God and there is no more peace in Islam than was to be found in the oppression of the Third Reich.